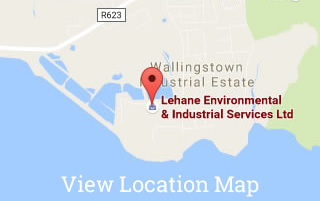 Lehane Environmental are delighted to be members of the newly formed Little Island Business Association (LIBA). LIBA has been set up to promote and market Little Island locally, nationally and internationally and to provide a platform for business in the area to network and do more business. LIBA will represent the interests of all members business sectors. There are over 1,000 businesses in the greater Little Island area. 15,000 people work in Little Island on a daily basis – mostly in Business Parks and Industrial Estates. However, the area could support another 20,000 jobs and one of the Association’s goals is to attract more companies into the Little Island area. LIBA also hopes to launch the annual Little Island Business Awards as a means of promoting the excellence in business that exists in Little Island and to encourage more companies to locate in Little Island. It is also envisaged that there will be a new award scheme organised by LIBA to encourage entrpreneurship amongst young people. The awards will be of interest to young people aged between 12-20 from all parts of Cork city & county. Lehane Environmental wish Michael Mulcahy and the rest of the team at LIBA every success in this worthwhile organisation. Check out the Little Island Business Association Website for further info.